Home | Discount Leotards ™ > Gymnastics Boy's Men's > 1818M GK Elite Boys Mens gymnastics longer length nylon spandex shorts. 6 color choices. 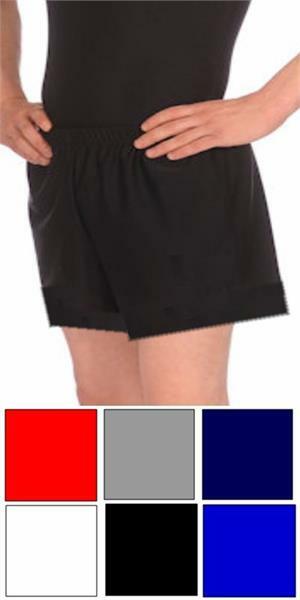 1818M GK Elite Boys Mens gymnastics longer length nylon spandex shorts. 6 color choices. Men's gymnastics competition shorts feature straight leg and elastic drawstring waist. These shorts are slightly longer in length with an upper thigh hemline.